Today I want to introduce you to a discovery of mine from a while back. Jewelry designer Mariko and her company Applepie Pieces. Mariko makes wonderful colourful pieces of jewelry that just makes you happy. Applepie Pieces has customisable pieces too. These are my favourites at the moment. 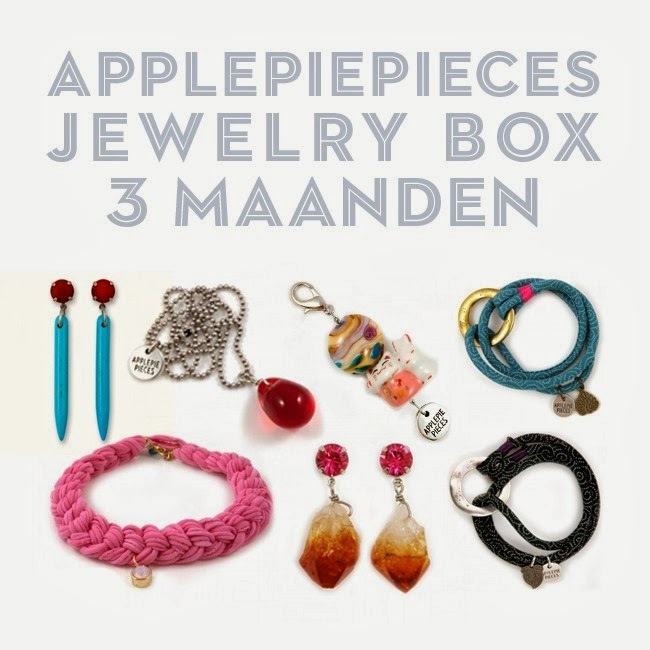 Applepie Pieces also has jewelry boxes you can buy as a gift for yourself or for some one special. Each month you will receive a surprise Applepie Pieces design. You can choose a box for 3, 6 or 12 months. Any of these going on your Christmas wish list?